Logging, walking over gravel pits, even trekking over unstable terrain in your backyard. 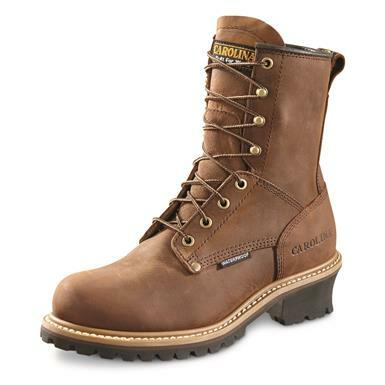 These boots are built rugged and ready to get rough with outdoor jobs. 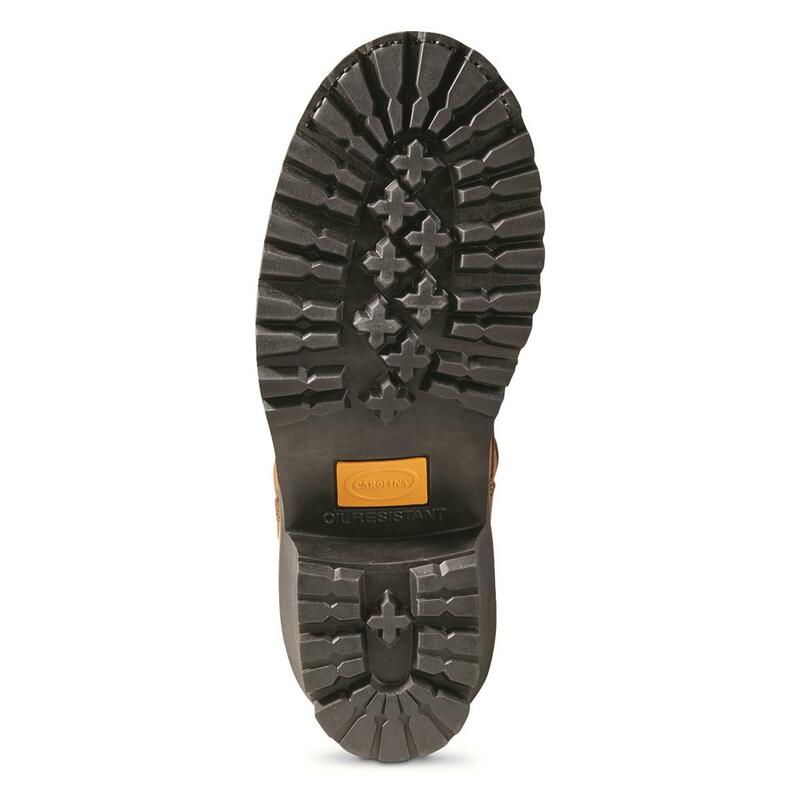 That thick rubber outsole and heel provide traction even over uneven terrain. A triple-ribbed steel shank helps out with stability, too. Plus, these Logger Boots feature the SCUBALINER to keep water out, while the moisture-wicking Taibrelle lining aids in overall dry wear. 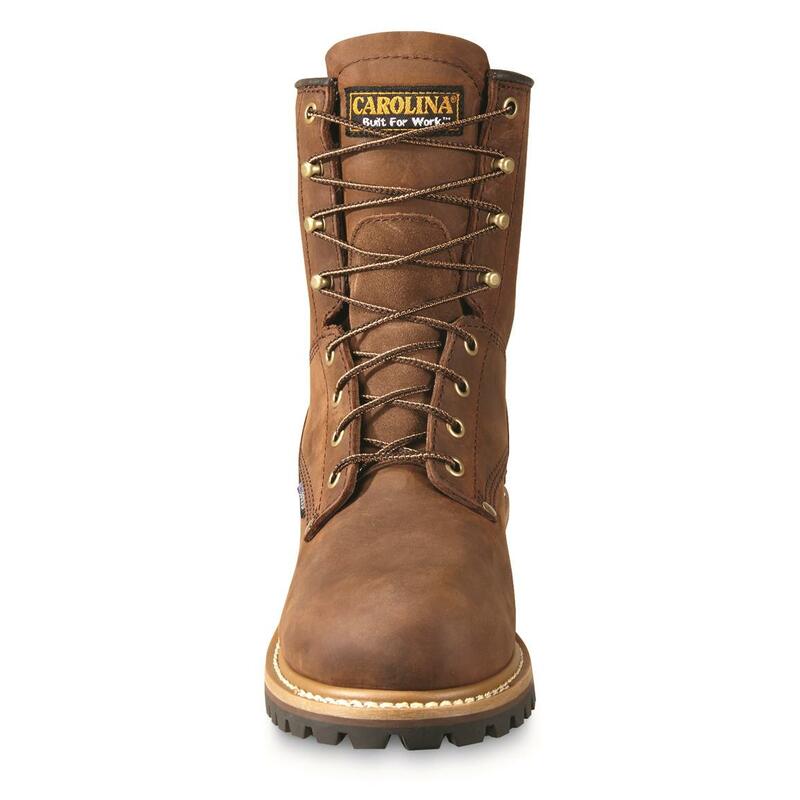 Get these Carolina® Logger Boots right here! 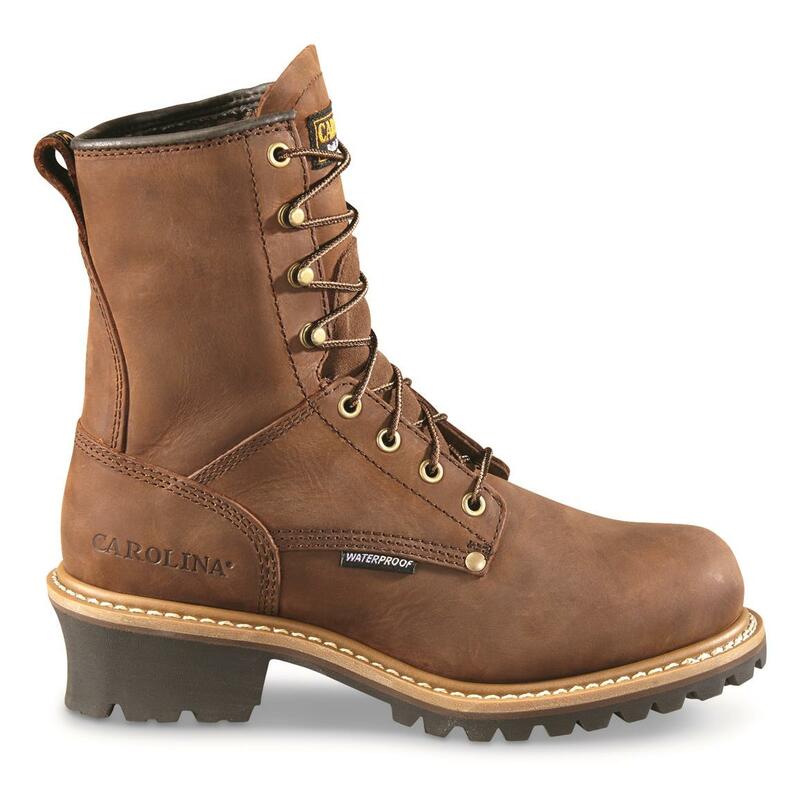 Carolina Mens Elm Waterproof Logger Boots, Copper is rated 4.5 out of 5 by 12. Rated 5 out of 5 by Russ 5793 from Good deal This product was as advertised and was shipped very quickly. 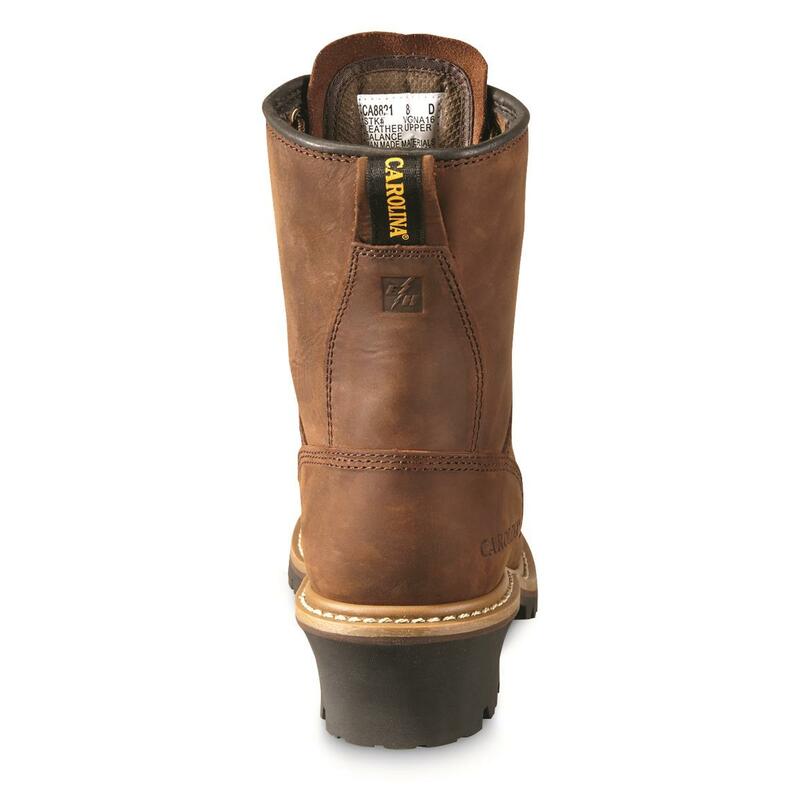 Rated 5 out of 5 by CMR5 from Great for price Good fit and comfortable sole. Rated 5 out of 5 by Dave from High Quality Got these as a gift for my son in Colorado and he just loves them! A very high quality product! Rated 5 out of 5 by 300 Win Mag from Excellent boots. Well pleased with these boots. Great for hunting in winter time. Feet stay very warm and dry! 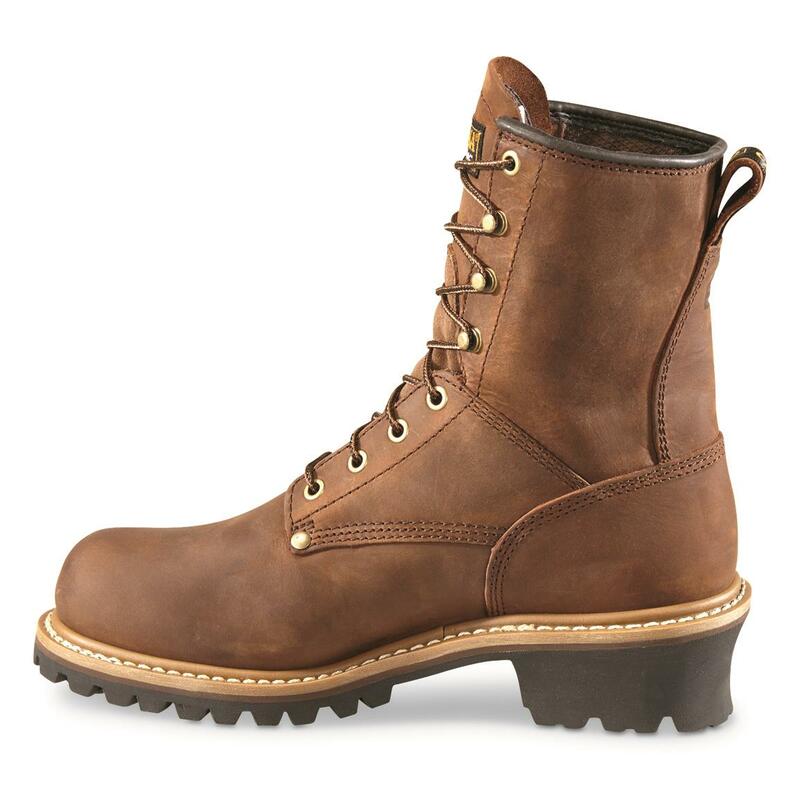 Rated 4 out of 5 by hunter 43 from nice boot for the price boots are good but feet sweat in them , no break in period needed fit good . did not like that they try to sell you so much stuff when you re on the phone buying something. . 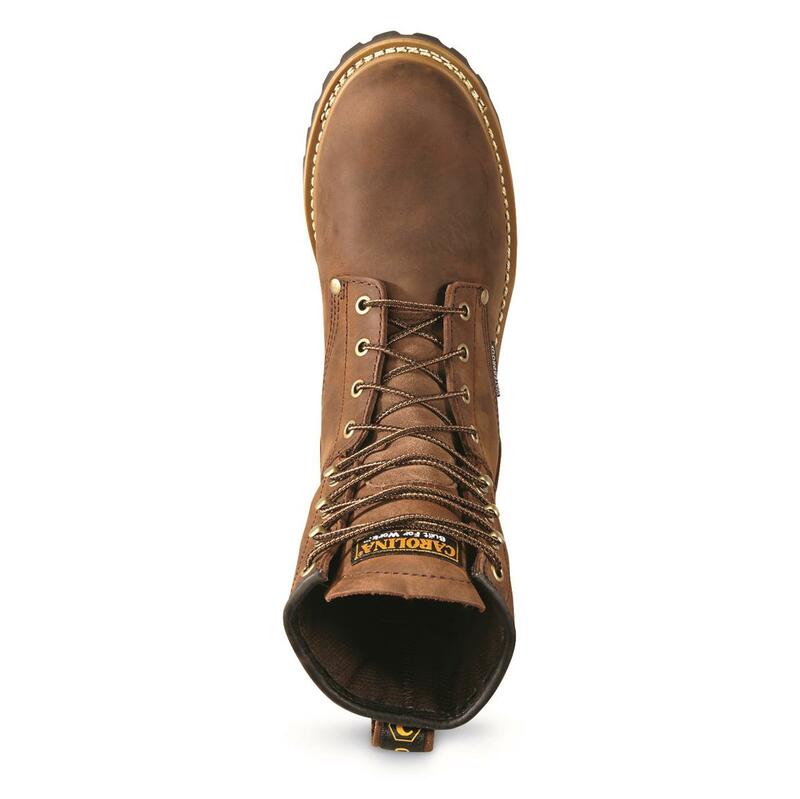 Rated 2 out of 5 by stosh from tough boots All leather well made boot, made better with waterproof liner. Do not recommend to anyone with foot problems such as cold or sweaty feet, bent toes, prior injuries, flat feet, heel spurs, diabetes, etc. These boots have no padding, no midsole, and will need foot beds, heel cushion or orthtotics to make them comfortable. Also they need breaking in.